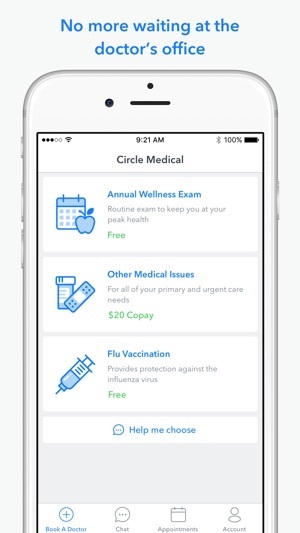 Circle Medical is your modern doctor's office. 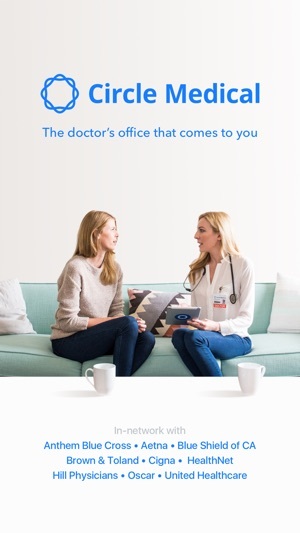 Board-certified Circle Medical doctors will see you at our San Francisco office, over video chat, or at your work. You can do everything you can in an old-school doctor's office, but without the long waits, rushed visits, and paperwork. 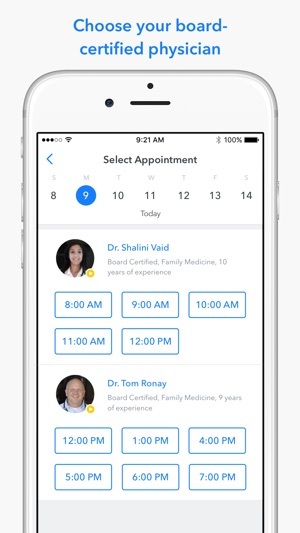 Build an ongoing relationship with your physician, chat with your care team, and access your medical records through the app. Pay just your standard copay. Scan your insurance card and we'll take care of the rest. 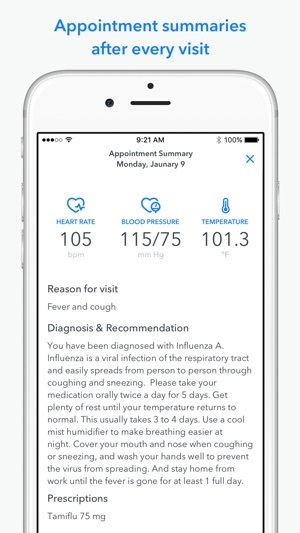 Save vitals gathered by your doctor during visits directly into the Health app and have them become a part of your personal record. Disclaimer: All medical services are provided by an independent physician group. I went here and felt like I was dealing g with a gang that can't shoot straight. I'd see one doctor and go for follow-up only to find they left the practice. Front office staff lacks diplomacy, grace and tact. 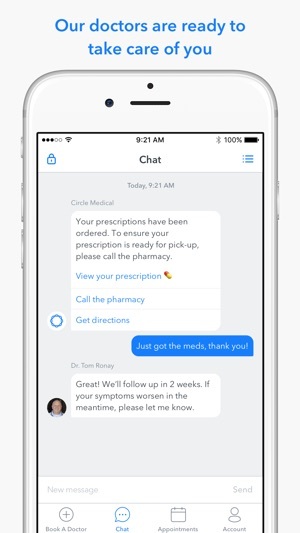 They require communication via their in app messaging. This is highly imprersonal and will likely be a downfall. Consistently the best general practitioner and even travel doctor services I’ve had. For whatever reason, I can’t get past the “verify your email” step in the signup process. Looking forward to using the app but for now it’s useless. © 2019 Circle Medical Technologies, Inc.